A look under the hood reveals the starting point: The 3-liter inline six-cylinder engine in the BMW M2 performs 370 hp and 465 Nm. These specifications of the M2 level between M235i (326 hp) and M4 (431 hp). And mind, the M2 is no lightweight. With 1,570 kilos on the hips the distance on the scale to the M4 is significantly lower (20 kg/1590 kg) compared to power output. And so the power to weight ratio of the BMW M4 with 3.7 kg/hp and a M2 of 4.2 kg/hp are facing unequal. But the DTE Team is willing to readjust the M2's data – of course. With its wide body (front 6 cm and rear 8 cm) the M2 shows unabashedly his origins. Transmission, engine components and the complete front and rear axles are from M4 originals. His hugh air intakes and the four exhaust pipes are unique. Every detail is designed for work in the high performance area. An area where the DTE chiptuning box PowerControl feels totally at home. The tuning module is placed just behind the twin turbo's kidney grille. 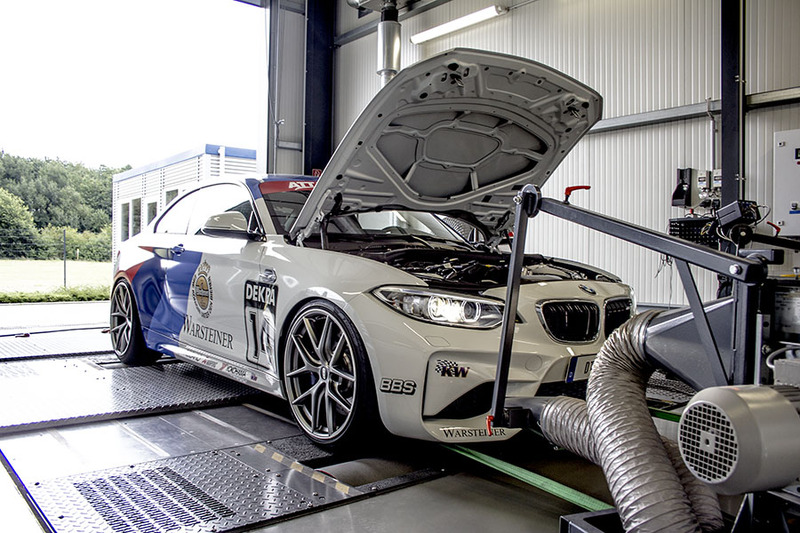 With the DTE chiptuning and an increased performance of +41 hp and +80 Nm the M2 stretches easily the speed peak. With a power to weight ratio of only 3.8 kg/hp, the M2 advances to the category of high-performance athletes and meets the BMW M4 almost at eye level. 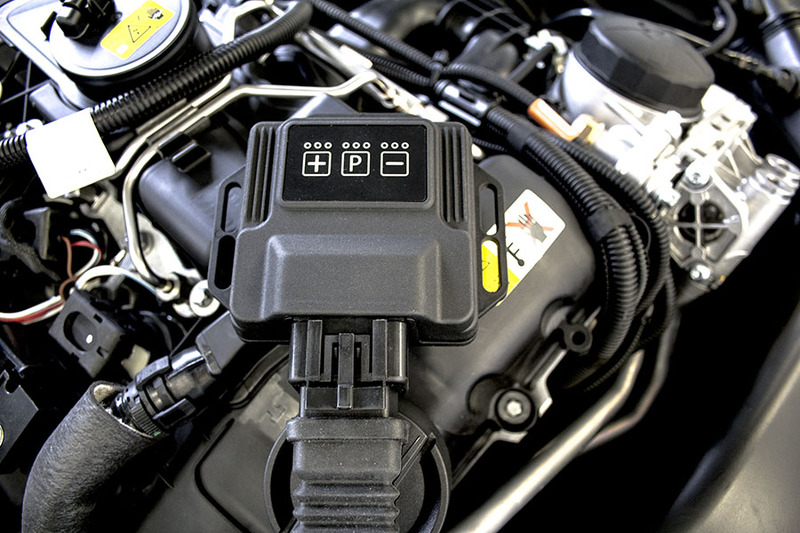 The accelerator tuning with the optional PedalBox compresses the peak power of the Bavarian. With an improved acceleration the PedalBox increases the propulsion greed of M2. The PedalBox is placed directly on the center console, always within reach of the driver. With over 20 different settings, the BMW accelerator tuning is complete full-throttle fun.